Blue Insurance Limited is an Irish owned company established in October 2003 based in Blanchardstown in Dublin and Cardiff in the UK. The company specialises in a range of insurance products and currently trades in Ireland, UK and Australia. Blue Insurance Limited is a leading supplier of Niche Insurance products. Blue Insurance offers Car, Home, Travel, Gadget, Car Hire Excess, Pet, Wedding, Motor Breakdown and Bicycle Insurance products. The company trades under Blue Insurance as well as the familiar brands such as Multitrip.com, Carhireexcess.com, Gadgetinsurance.com, Petinsurance.ie, Weddinginsurance.ie, Motor Breakdown and Bicycleinsurance.ie. 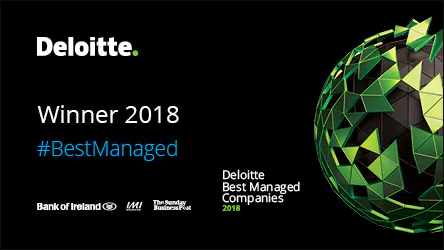 The company is a Deloitte Best Managed Company for the past five years and has won an award every year since opening. The company founders were finalists in the EY Entrepreneur of the Year 2011 and won Travel Industry Entrepreneur of the year in 2012. Our vision is to be the best at what we do by making insurance Simple, Reliable, Affordable, and Trustworthy. Our commitment is to build trusted relationships with colleagues and to provide Innovation, Respect and Fairness to all customers. Our 80 plus staff are committed to providing the best customer service possible. CCMA Awards - Best Sales Campaign 2018.